• PLOT SUMMARY: (W) Jonathan Hickman (A/CA) Dustin Weaver. 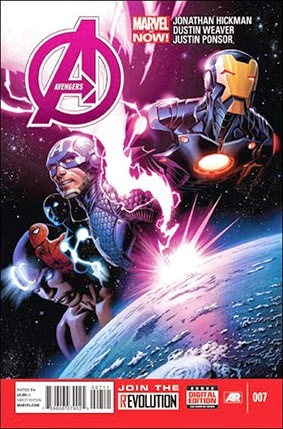 'WORLD BREAKER' The Avengers must scramble to deal with the threat of another Universal SYSTEM. The New Adam is transformed, and his true self revealed. And the most dangerous hero on Earth is created.